I have a special place in my heart for coconut milk, so rich and creamy and satisfying. 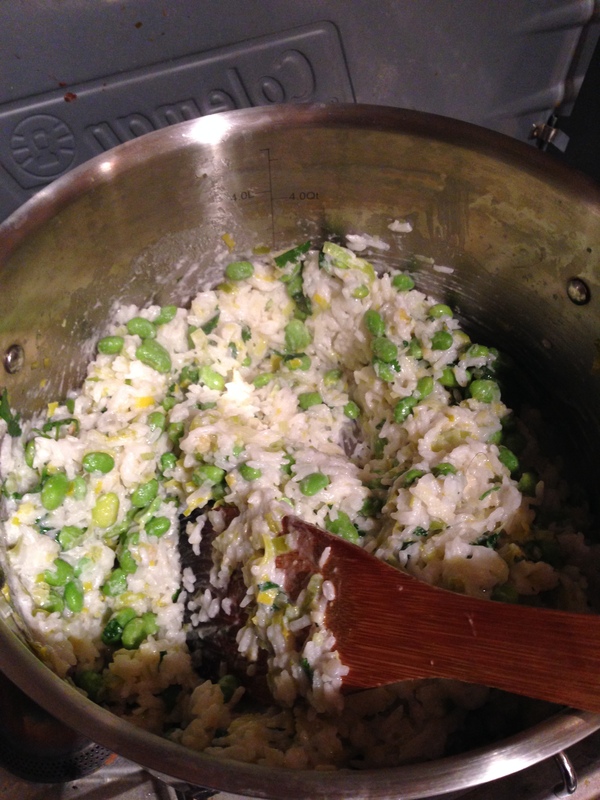 Rob has a true love of rice, so sometimes I like to make a very simple easy meal with fragrant jasmine rice and protein packed edamame based on a recipe from Jack Bishop’s A Year in a Vegetarian Kitchen. I cook it on the stove but I was thinking this time as it was cooking that it could easily be made in a rice cooker as well! We serve this up as a one pot wonder in a large bowl. I like to use leeks and often find myself making this meal in the early days of the farmers market when veggies like leeks and other root vegetables rule the place. 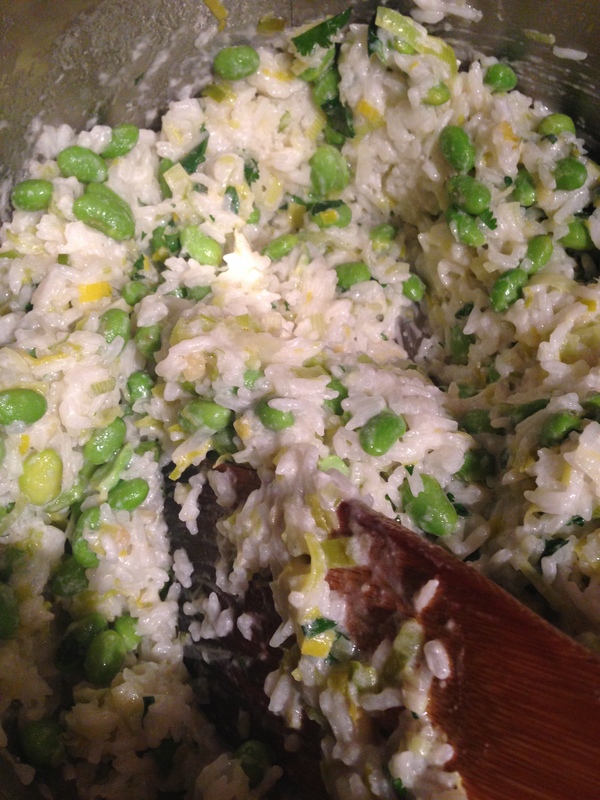 Meanwhile steam edamame – I used the microwave directions this time so easy!